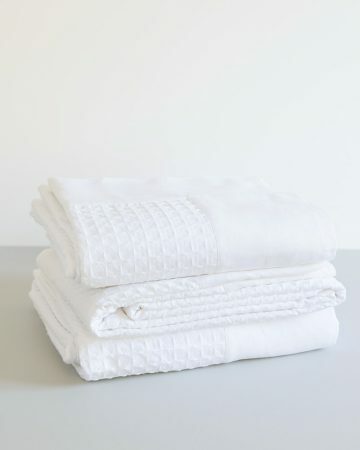 A thick and robust throw, ideal for the lounge or bedroom. 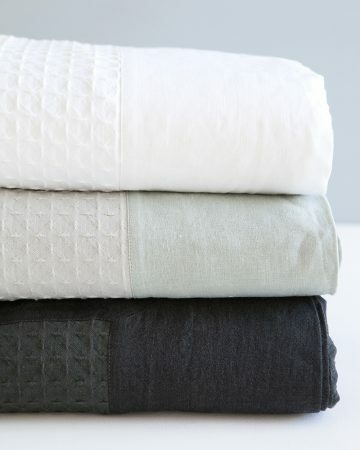 A versatile ‘good old’ blanket that never goes out of fashion. 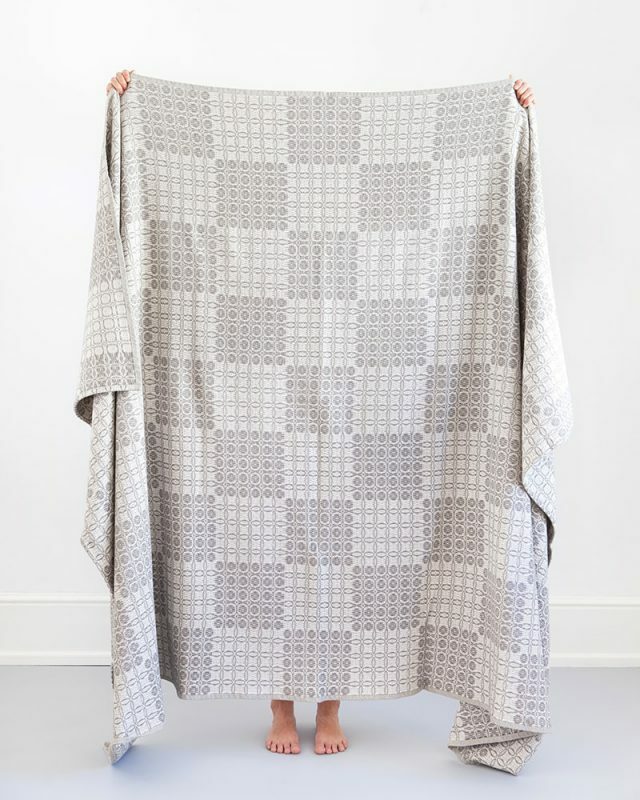 The Juno throw is a classic blanket, perfect for your bedroom, a cuddle on the couch, hot chocolate on the porch, an outdoor movie theatre, a picnic under the stars. 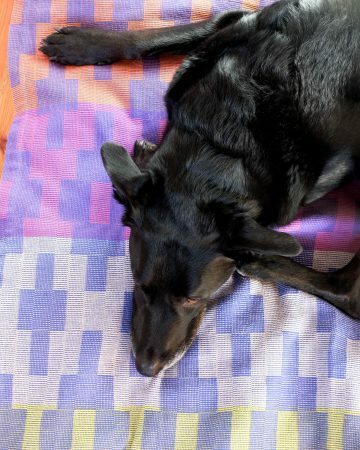 The Juno shares the name of our much loved family dog and yes she does get to sleep on one, out of principle. 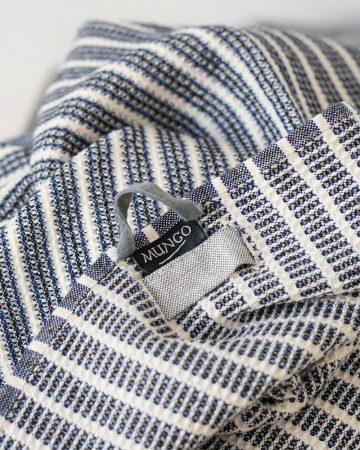 The Juno weave was created by Stu, drawing inspiration from the traditional coverlet patterns that were woven in America during the 18th Century. 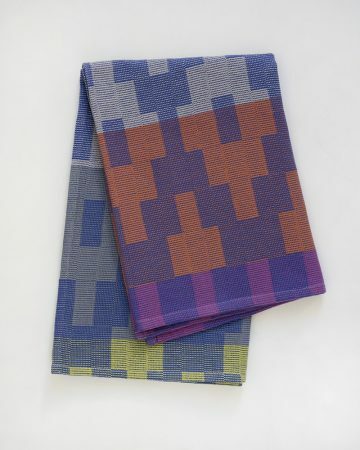 Historically, women made quilts and coverlets which expressed their artistry and skill. 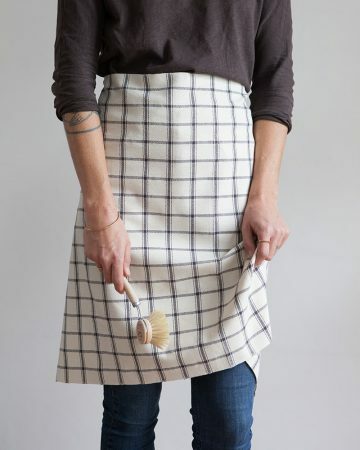 Often they were given as wedding gifts, or made by a young woman to take with her to her future husband’s house. 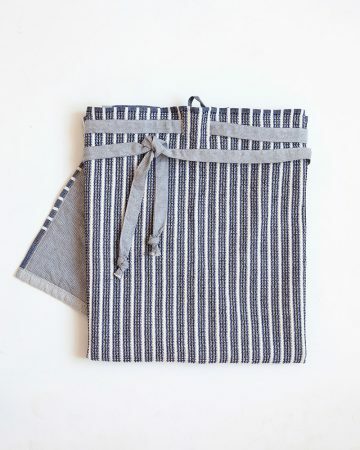 If that new home was distant from friends and family, a bedcover became an important keepsake from her old life. 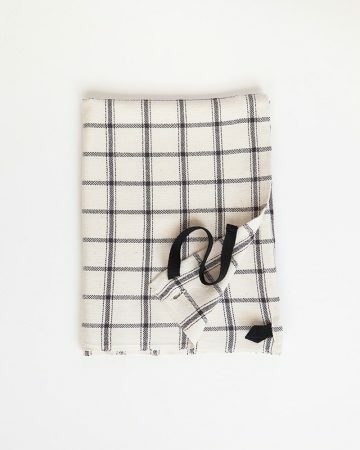 Quilts were also made to celebrate the birth of a child, and other momentous occasions. 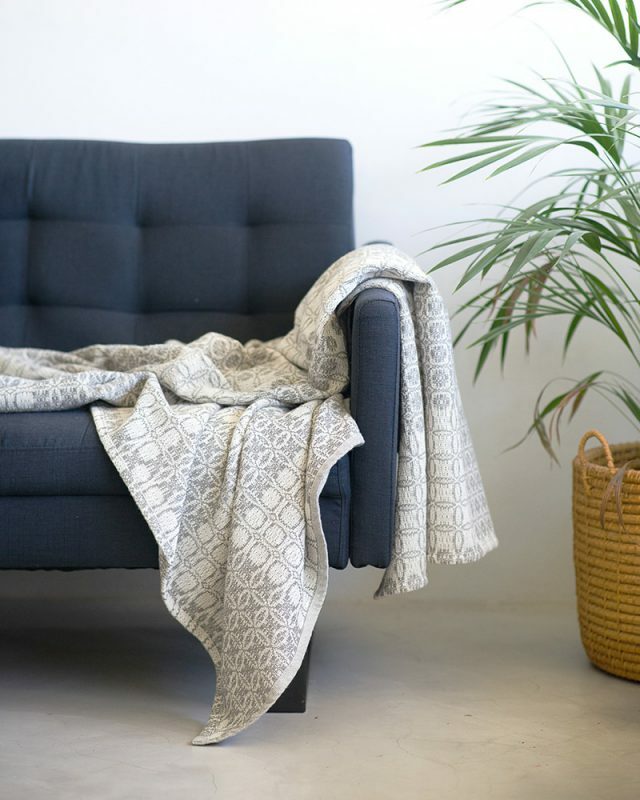 If you like the Juno but are looking for something a little more subtle, check out the Cottonfields throw, which utilizes the same weave, but is piece-dyed in a range neutral tones.